Together, we’re fundraising for charitable causes. Keep The Faith fundraiser is designed to help raise funds for charity, church, and community projects in the UK. We’re committing 20% of each magazine order through this shop to charitable causes. We’re giving you choice. With each purchase, you choose the charity we donate to. Our award-winning magazine. A family-owned and not-for-profit magazine, Keep The Faith has been in print for 14 years. We’ve survived thanks to the support of community members, like you. We’ve given immeasurable sponsorship and press to charitable causes over the years. Now, you can help too. Purchase Keep The Faith magazine through this fundraiser. You can support a number of charitable causes by purchasing a copy of Keep The Faith magazine through this fundraiser. We will donate 20% of the magazine’s cost directly to a charitable cause. Pre-order Keep The Faith magazine and save. We offer an Early-Bird price on all upcoming issues of Keep The Faith magazine. This means you can get Keep The Faith delivered to your door and save money. 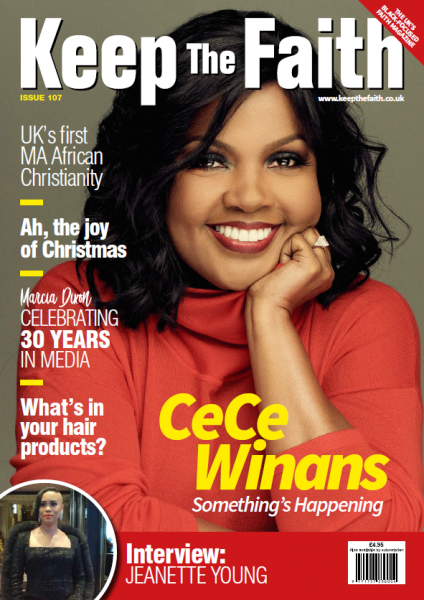 Keep The Faith magazine is the UK’s leading Black and Multi-ethnic Christian magazine. In print for 14 years and over 100 issues, we’re the largest and most widely read magazine of our kind. We publish educational, inspirational and motivational content for the community. Our writers are among the most influential and well-respected members of the community.